In a brand new series of articles for the swedish architecture magazine RUM Linda writes about innovative design and production solutions within architecture and design. In a new article for swedish Fastighetsnytt Linda argues the necessity of new innovations within architecture. This month Linda writes how to reach the sustainability goals within architecture for swedish Fastighetsnytt. This week, I had the opportunity to participate at the “Liveable Scandinavia” were both Swedish and Danish Royalties participated, including Crown Princess Victoria, Prince Daniel, Crown prince Fredrik and Crown Princess Mary. Other high profile guests included Minister for Enterprise and Innovation Mikael Damberg, Minister for Housing and Digital Development Peter Eriksson and Danish Minister of Foreign Affairs Anders Samuelsen. The business convent ”Liveable Scandinavia” placed focus on how Sweden and Denmark develop both their societies and cities through innovative, sustainable and intelligent solutions within three important fields – Intelligent Healthcare, Modern Lifestyle and Sustainable Cities. It was an interesting event with a promising goal: to tighten the “Scandinavian” bonds for two somewhat smaller nations to together be stronger and more influential through collaborations and great teamwork. Speakers both from Denmark and Sweden addressed the necessity of new-thinking within the built environment to ensure sustainable cities. How should we build our cities; faster, more beautiful, more energy efficient, with low-carbon use, for different parts of our society in focus and while still economy sustainable? It is a challenging equation, a very challenging equation. Speakers from Denmark, such as a board member of Greater Copenhagen, the Swedish Minister for Housing and Digital Development, the Managing Director of Ramboll and the Project Director of COWI – Building East, all made interesting comments from a life quality viewpoint. It was clear that in their view contemporary cities are to provide for its citizens, and that our cities need to place the people in the center. Only by providing accessible and democratic cities, a healthy environment with a variety of opportunities, can we ensure human well-being. There is now a business opportunity in the healthy and sustainable “innovative” enterprise, it is no longer only for the good cause. Placing people in the center -this is something we all, to some extent, can agree on, sure. But when Maria Rankka (CEO of The Stockholm Chamber of Commerce) joined the discussion, in her role as moderator, raising the question on integration and socio-economic challenges, the room turned quiet and the panel did nothing more than stare at each other. Somewhat surprising as this is such a very important topic, and one might think that this would be an obvious item to discuss when talking about the challenges that our cities are facing, especially with the overall focus being innovation within development, sustainable cities and quality of life. However, as so many have said before and so true – the engagement, the ambitions and drive for innovation will be key in the success. Most of them will be achieved on a regional or city level. And for those cities open for new, broader and unexpected and interdisciplinary collaborations even more so. By sharing, learning and collaborations towards united actions, we will see more innovations and creative solutions that meet contemporary and future challenges more effectively than ever. The example, the concept of a “Greater Copenhagen” (focusing on Malmö and Copenhagen, but including a total of 33 Swedish and 46 Danish municipalities) is unique, both out of an economic and cultural perspective, where cities join forces to be greater than the sum of parts. In the future, we will probably refer to Greater Copenhagen as a successful pilot for new-thinking within city development, economy and wellbeing. And I predict that in the future will see many more of these successful collaborations between cities in the Nordic region and beyond to take the responsibility to meet climate change and socioeconomic challenges. 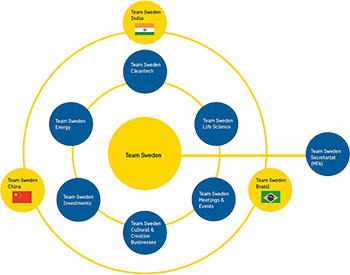 Linda Schuur, founding partner of STHLMNYC, is invited to participate in Team Sweden, “a network of government authorities, agencies and companies that all work to promote Swedish exports abroad”. Linda takes part in the so-called “dialogue meetings” for Team Sweden Cultural & Creative Bussinesses. Linda Schuur, founding partner of STHLMNYC, will speak at Business Arena on April 6 in Gothenburg and April 20 in Malmö, Sweden. Business Arena is the leading meeting place in the Nordics for decision makers in real estate and the construction sector. For more information in Swedish, click here. We are thankful and proud to have been awarded the “Architecture of the Year Award”, and for the recognition of the value of an organization such as STHLMNYC to bring together cities for a better future. 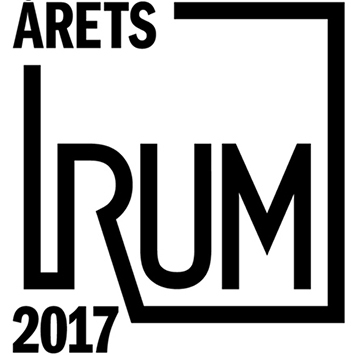 We are very honored to be nominated at “Årets Rum” for “the architecture of the year”. More information can be found here. 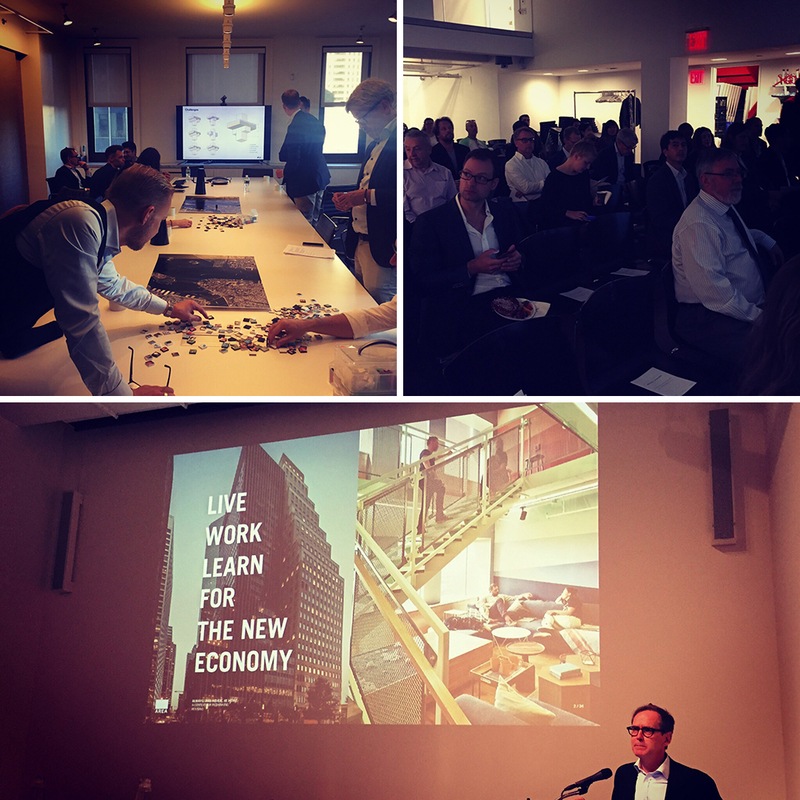 A video of the full public program: STHLMNYC | Converstation Innovative Solutions for the Future Housing Challenge that took place at the Center for Architecture on October 7 is now available online here. Thank you to the Center for Architecture for making and sharing the video. We would like to thank all the participants joining us in the STHLMNYC | Conversation on October 6th and 7th in New York as part of Archtober. 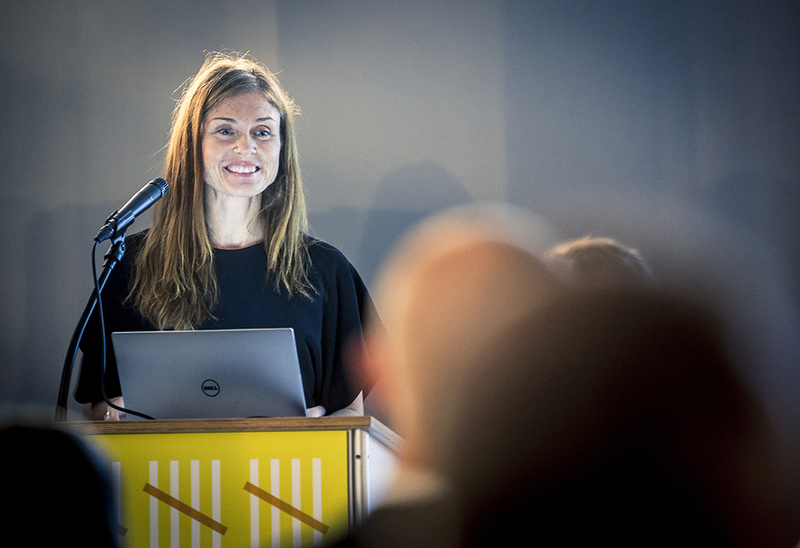 During a two-day program in New York, leading urban planners, architects and policy makers from Stockholm and New York explored the theme of “Innovative Solutions for the Future Housing Challenge”. The participants joined the conversation on the future of our cities and urban architecture, formulating the critical need for collaboration as well as the power of cities to spearhead the formulation and development of an adaptive urban environment. 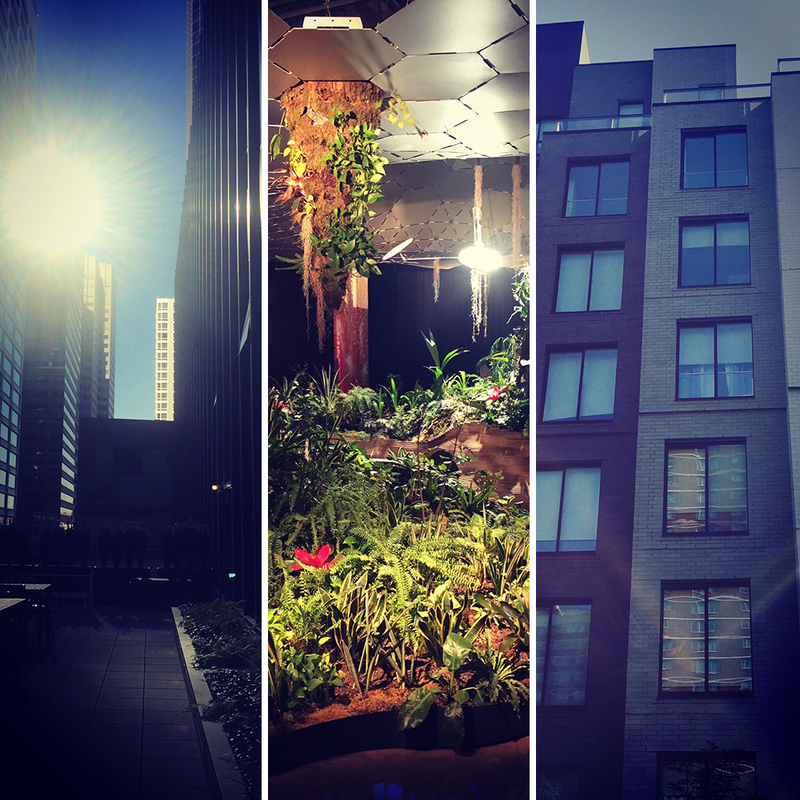 The STHLMNYC | Conversation started on Thursday afternoon visiting Carmel Place (My Micro NY) by nARCHITECTS, The LowLine by RAAD Studio and WeLive 100 Wall Street by ARExA. We would like to thank all who made the guided tours possible. 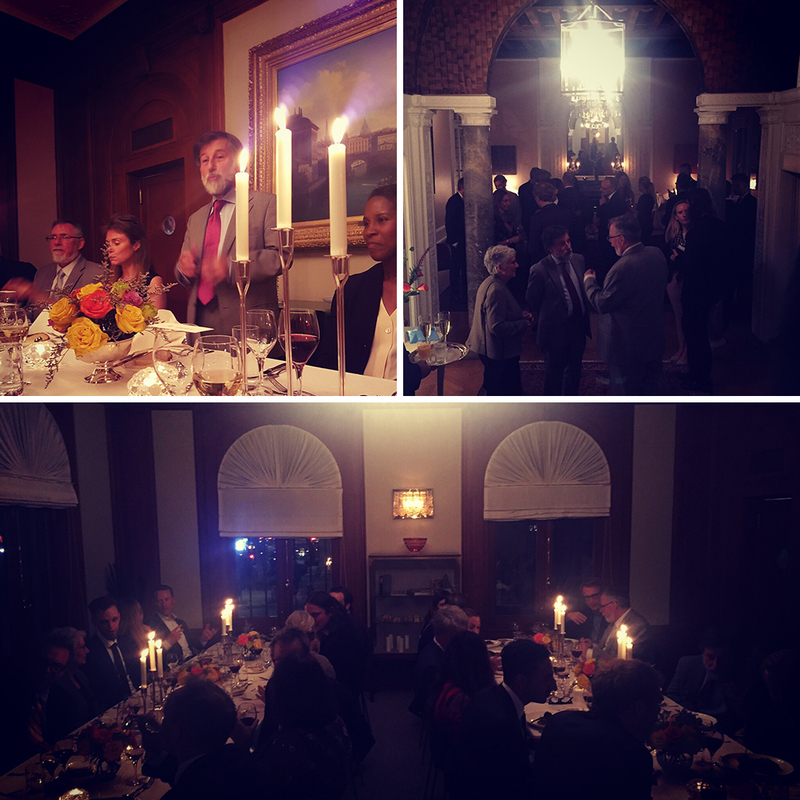 On Thursday evening all participants were invited for a wonderful dinner and conversation by the Consul General, Leif Pagrotsky. A thank you to all the staff at the Consulate General of Sweden in New York for a great collaboration and a special thank you to Consul General, Leif Pagrotsky for inviting the participants of STHLMNYC to the Swedish Residence. The public program took place on Friday morning at the Center for Architecture. The program was two-part, Politics & City Planning and Architecture & Building Technology. Featured in both parts were four keynote speakers, each presenting solutions and reflections on the program’s theme, as well as an in-depth panel discussion moderated by Linda Schuur, founding partner of STHLMNYC. Click here for an outline to the public program. After a shared lunch the participants of STHLMNYC joined a Round Table Discussion at SHoP Architects. We like to welcome you to the STHLMNYC | Conversation as part of Archtober on October 6th and 7th in New York. We would like to thank all the participants joining us in the STHLMNYC | Conversation on October 13th in New York as part of Archtober. During the STHLMNYC | Conversation leading urban planners, architects and policy makers from Stockholm and New York discussed the future of our cities and urban architecture. In an informal setting, the distinguished practitioners and theorists explored the theme of “Adaptation and Affordability”, touching upon the critical need for collaboration as well as the power of cities to spearhead the formulation and development of an adaptive urban environment. Jesse Keenan – Research Director Center of Urban Real Estate Development at Columbia University provided an inspiring introduction and the evening was moderated by Linda Schuur and Sander Schuur – Founding Partners of STHLMNYC. In the first session, Cecilia Holmström – Strategic Advisor Housing at Tengbom, Sandra Frank – Marketing Director Folkhem, Guido Hartray – Founding Partner Marvel Architects and Jeffrey Shumaker – Chief Urban Designer and Director of Urban Design at City of New York, Department of City Planning (DCP) presented relating to the theme of Affordability and where joined by Daniel Markström – Director of Architecture Humlegården Fastigheter and Stefan Sjöberg – Founding Partner at Kjellander + Sjöberg Architects for the Panel Discussion. In the second session of the program focused on Community Engagement. Jeff Dugan – Principal Dattner Architects, Nicole Ferreira – Vice President for Development at Department for Development New York City Housing Authority (NYCHA), Daniel Hernandez – Deputy Commissioner for Neighborhood Strategies at New York City Housing Preservation and Development (HPD), Thaddeus Pawlowski, Senior Urban Designer at DCP and Niklas Svensson, Deputy Director at City Planning Administration in Stockholm presented their view on the theme and were joined by Niels de Bruin – Landscape Architect at White Arkitekter, and Rebecka Yrlid – Sustainability Director Humlegården Fastigheter in the Panel Discussion. 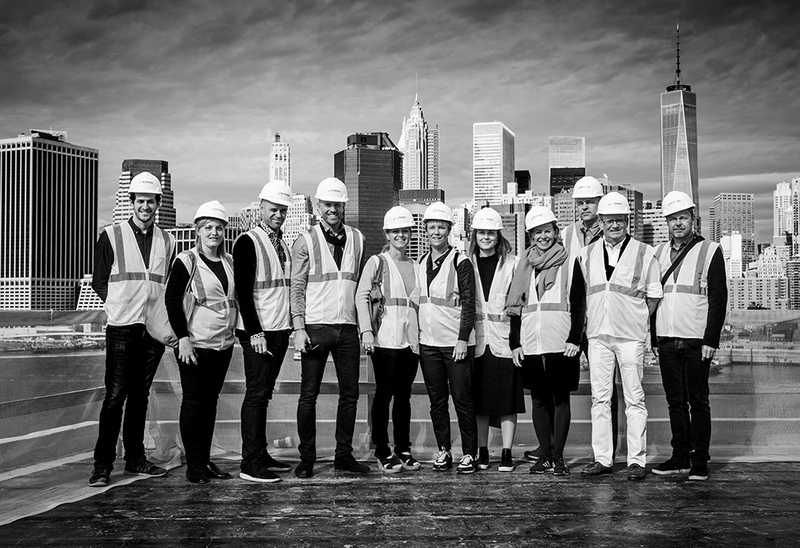 On October 14th STHLMNYC hosted a full day of site visits where participants of the STHLMNYC | Conversation joined us on guided tours at Brooklyn Bridge Park, St. Ann’s, Pierhouse and 1 Hotel and The Highline. We would like to thank Dennis Vermeulen from Marvel Architects and Benjamin Smoot from Diller Scofidio + Renfro for hosting the tours. GB&D Magazine published an interview by Jeff Link with STHLMNYC: “Architecture Organization: STHLMNYC, From New York to Stockholm, STHLMNYC Opens a Dialogue about Adapting Architecture to Future Uncertainties”. The full article can be read on GB&D Magazine’s website. We are pleased to announce the first STHLMNYC | Workshop, to be hosted in Stockholm at ArkDes on April 8th, 9th and 10th, 2015. STHLMNYC is an ongoing platform for collaboration where architects, landscape architects, urban planners and relating professionals actively participate to discuss and formulate strategies for an adaptive and sustainable urban environment. It is a network connecting specialists and policymakers in an informal setting to share and extend knowledge, bridging experience and cultures so as to be in the forefront of the architectural debate and at the starting point of key developments in the urban environment. The STHLMNYC | Workshop is the first in a series of biannual gatherings which will alternate between New York and Stockholm. We will discuss and formulate strategies for an adaptive architecture using case studies and presenting findings to the public, media and policymakers. Conference materials will be made available to STHLMNYC members, sponsors and participants. The theme of the first STHLMNYC | Workshop is “Movement”; the movement of people from a socio-economic perspective, the movement of nature within the urban environment, the movement of water in all its forms and the movement of food from farm to fork. Please find the preliminary agenda for the STHLMNYC | Workshop attached. The STHLMNYC | Workshop provides participants the opportunity to extend their knowledge by interaction with leading architects, designers and policymakers, to be at the forefront of the transatlantic architectural debate and to actively shape the urban environment. You and your organization can become a member of STHLMNYC through an annual membership that grants access to all events, documentation and regularly updates on the platform. Please contact membership@sthlmnyc.org for further information. Sponsorship opportunities are also available. STHLMNYC has arranged a discount at Story Hotels at Riddargatan, Stockholm, please contact us for the discount code before booking. Please RSVP before Friday March 20th through email. Join us to shape the future! STHLMNYC will welcome all to ArkDes, the Architecture and Design Museum, and present the program for the STHLMNYC | Workshop. The City of Stockholm will present the first case study, Farsta, an area in the south of Stockholm built in the 1960s that includes housing and job opportunities in line with the ABC concept: work, housing and town centre. Farsta is an important centre in the south-east Stockholm region and provides challenges and opportunities for near future development. The City of New York will present East Harlem, an area of 1950s and 1960s urban renewal projects that was hard-hit by the displacement and disinvestment of the 1960s and 1970s. With the Second Avenue subway under construction, neighborhood demographics are changing and gentrification is a threat. The participants of the STHLMNYC | Workshop will tour Farsta and have lunch on location. In the STHLMNYC | Workshop at ArkDes, participants will discuss and formulate strategies towards an adaptive architecture for East Harlem, New York and Farsta, Stockholm. In the morning session of the STHLMNYC | Workshop, a design study will give shape to concepts and strategies formulated. Food, drinks, music and more. STHLMNYC will host the first semi-annual STHLMNYC | Workshop on April 8th, 9th and 10th in Stockholm. The STHLMNYC | Workshop will explore ‘Movement’ within the urban environment through case studies, conversations, discussions and site visits. World leading architects, landscape architects and urban designers, interacting with specialists, developers and representatives from both Stockholm and New York share their knowledge and expertise to formulate strategies for our future. The program will be announced shortly on the STHLMNYC website. STHLMNYC will host the first in a new series of events called: STHLMNYC | Conversation. The STHLMNYC | Conversation is an periodic event that aims to connect specialist from New York and Stockholm to discuss a variety of topics related to STHLMNYC’s main focus of ‘adaptation’. The first conversation will take place today, February 3rd, at noon in New York at the office of COOKFOX and at 6pm in Stockholm at the office of Kjellander + Sjöberg connected through teleconference. The topic of the first STHLMNYC | Conversation is ‘Adaptive Placemaking’. 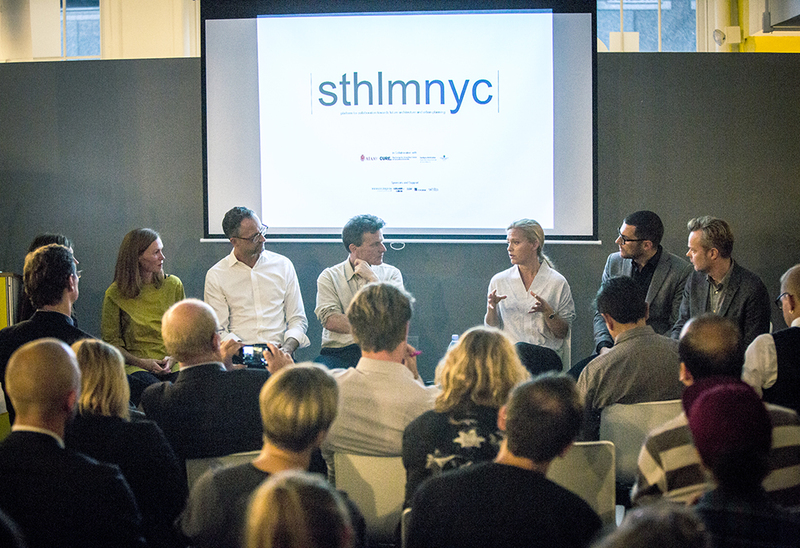 The video of the Inaugural Event of STHLMNYC is now available online thanks to the AIA New York Chapter. The video can be found through the following link: STHLMNYC. The inaugural event on October 30th at the Center for Architecture has been a successful pilot for STHLMNYC. At the Center for Architecture, in two rooms due to a very large public interest, the participating offices and the cities of New York and Stockholm presented and discussed strategies and visions for an adaptive architecture. The great variety in scale, program, and visions of the presented projects with great ambitions about the future of our cities made for a very inspiring event. Thank you to all the participants to make for a very interesting series of presentations and discussion. Thank you to the sponsors for the cathering. A special thank you to the American Insitute of Architects New York, the Swedish Association of Architects and the Consulate General of Sweden in New York for your support to make this event the success it has been. Thank you to all who attended the event. One thing we know for sure about the cities of the future is that they are not going to resemble our image of cities today. Uncertainties surrounding climate and population movements compel us to plan for cities that will be both robust and flexible. This is the starting point of STHLMNYC, a new platform that in collaboration with the Swedish Association of Architects and the American Institute of Architects New York Chapter (AIA NY) launches a platform for co-operation and knowledge interchange between players in the urban development process. In addition to its website, www.sthlmnyc.org, STHLMNYC also has a physical meeting point, alternating between Stockholm and New York, with seminars and workshops open to all comers. STHLMNYC, an initiative taken by Linda Schuur and Sander Schuur, is a knowledge-enhancing partnership between New York and Stockholm on the subject of sustainable architecture and design. “We take visions of the climate-smart city as our starting point. Sustainable, flexible solutions and various socioeconomic ideas are at the center of our attention,” says Linda Schuur. What will tomorrow’s transport look like in rapidly expanding urban environments? How will Nature find a place in the city – for greater biodiversity and for protection against disasters induced by climate change? How do we tackle such socioeconomic challenges in cities as housing shortages, segregation and gentrification? STHLMNYC’s introductory event will be taking place at the end of October, during Archtober (archtober.org) in New York. There we will be presenting our impending co-operation and the architect practices which have been invited to take part by the two associations on either side of the Atlantic. We will launch the platform and discuss the cities of the future through a joint panel discussion together with leading representatives of the City of Stockholm and New York City. 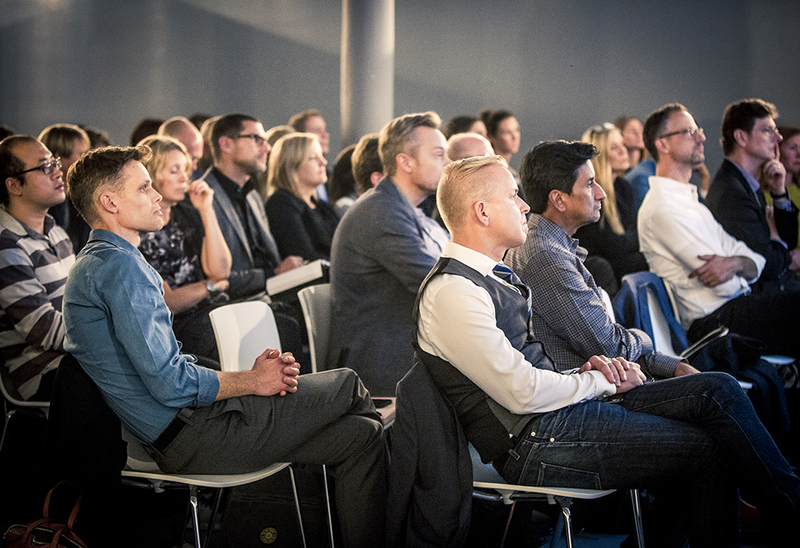 The next event will take place in Stockholm during the spring of 2015. “Stockholm and New York are two dynamic, interesting cities which, for all their differences, have a great deal in common – and we have much to learn from each other,” says Tobias Olsson, Director-General of the Swedish Association of Architects. “The AIA New York Chapter is very excited to participate in this exchange of ideas. Cities learn from each other, and New York with its mayoral priorities on social housing, early childhood education, streetscape and safety, clearly has a lot to learn from Stockholm,” Says Rick Bell, FAIA, Executive Director, AIANY. Join us to inaugurate STHLMNYC, a platform for collaborating on architecture and urban planning. We will introduce the platform STHLMNYC with an inspirational panel discussion among leading firms from Stockholm and New York. We will close the evening with a reception to mingle and discuss the future of the architecture of our cities. Stockholm: Sara Grahn (Partner and Professor) from White Arkitekter, Mattias Gustafsson (CEO) from Urbio, Emma Jonsteg (CEO) from Utopia and Stefan Sjöberg (Founding Partner) from Kjellander + Sjöberg. New York: Tyler Caine (associate) from COOKFOX, Matthew Clarke (design associate) from SHoP, Gena Wirth (associate) from SCAPE and Dan Wood (principal) from Work AC. Cecilia Kushner, Planning Deputy Director for Flood Resilience at NYC Department of City Planning and Niklas Svensson from Stockholm City Department of City Planning. Join us to help shape our future!